A traditional fire academy can be a challenge for some individuals. For many, participation requires significant sacrifice of time. For others, the block of time required may not fit with current career and family responsibilities. A fire academy online can provide the flexibility that can make the dreams of fire school candidates achievable. In addition to the non-traditional setting provided with online studies, the virtual firefighter academy ensures that comprehensive skills and knowledge are covered in a way that allows for successful learning and retention. The greatest portion of a student’s time in firefighter school is spent in the classroom. The virtual classroom is similar to a traditional program’s setting in that academic material is presented in an orderly manner, allowing students to build understanding from one concept to the next. The virtual setting is different in that a fire school participant online can work at a personalized pace. One student will work ahead quickly, grasping concepts and moving forward to complete the coursework right away. Another student may need time to assimilate knowledge. Rather than being rushed through a curriculum, the online fire academy candidate can be sure that material makes sense. This makes for a more confident and competent professional when that student transitions to the work environment. The physical nature of a firefighter’s job requires familiarity with both equipment and procedures. These can’t be learned in a strictly virtual setting. 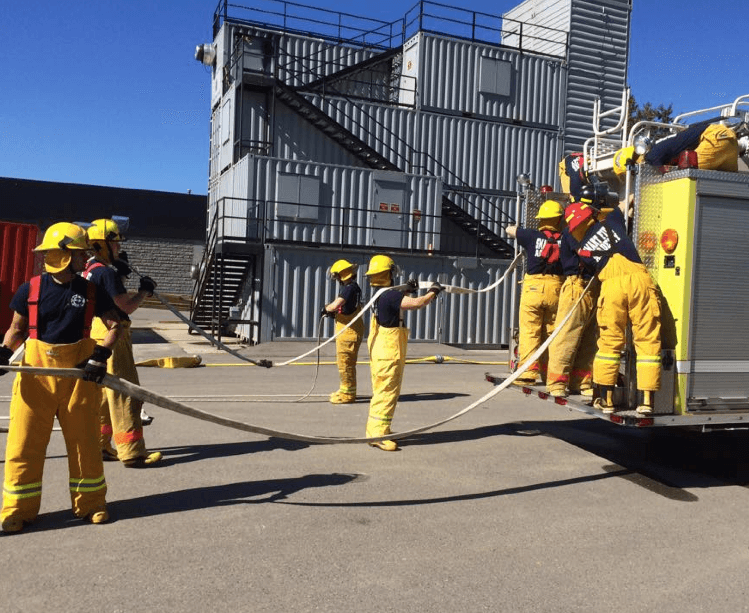 However, a hands-on portion of firefighter school is designed to provide this experience in a concentrated training session that spans several days in a state-of-the-art facility. Students are provided with the opportunity to add context to the knowledge gained during the online studies. Simulations enable students to experience real firefighting challenges in a controlled setting. Some participants in a fire academy online will also want to obtain medical emergency response credentials. These can be pursued simultaneously, and in-person training can be coordinated to accommodate this need. Those who have already completed initial fire certification programs may desire the opportunity to expand their qualifications. Online and in-person training can be pursued for advanced certifications. One of the most important benefits of our online firefighter academy is the ability to structure an education according to one’s personal needs. The candidate considering a change of career can work during free time to study. The individual who lives in a rural setting can access a high-quality curriculum without the need to relocate. The online program provides those with varied learning styles the chance to succeed when a traditional classroom might otherwise serve as a point of elimination. We give life to the dreams of emergency response professionals by providing an outstanding program that adapts to varied academic needs. This course is designed for the individual who desires to become a certified firefighter!